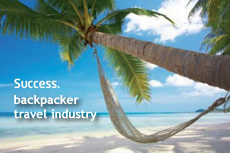 We started working for what is now the biggest backpacker travel company in Australia back in 2003. It started with 4 shops and a turnover of $200k / year but has grown quickly. As of 2010 the turnover with this system is more than $60 million / year and there are approximately 30 shops both in Australia and overseas. What is most striking about this company is the Business System developed. 'The System' automates many of the tasks that were done manually to achieve extremely low overheads. The System Integrates into many third parties systems such as Greyhound Australia, Respax and Reslinks Booking platforms and other third party on line booking systems through the internet. In addition it integrates into Business Systems within the company such as SAP. The System reports live information (accessible only by directors) of daily/weekly profit and sales. This is used to make payments and salaries for all staff. This includes integration to their SAP package, Web service integration. Management and reporting of staff, directors, suppliers, sales, products, pricing, payroll data, customers, ticketing, reports and more. This is used to manage agents and shops located throughout Australia and overseas. The system integrates 'LIVE' into financial systems to ensure timely flow to and from Agents. Custom application development, Web based Software (PHP, Mysql, Java) to handle Internet Bookings with third party companies and selling, tracking, maintaining products, customers, agents, resale agents, wholesale agents and other third party integration to live booking systems. Custom application enterprise management system.